The power of Literature is immense. It is the one entity that has remained constant throughout history. Books, speeches, news…these are all different literary forms which have been used across the globe for centuries. But what is the prominence of Literature in modern day society? With significant technological advancements, does Literature still hold the power that it was once renowned for having? How can Literature progress society? Well, here at the University of Derby we have the answer. 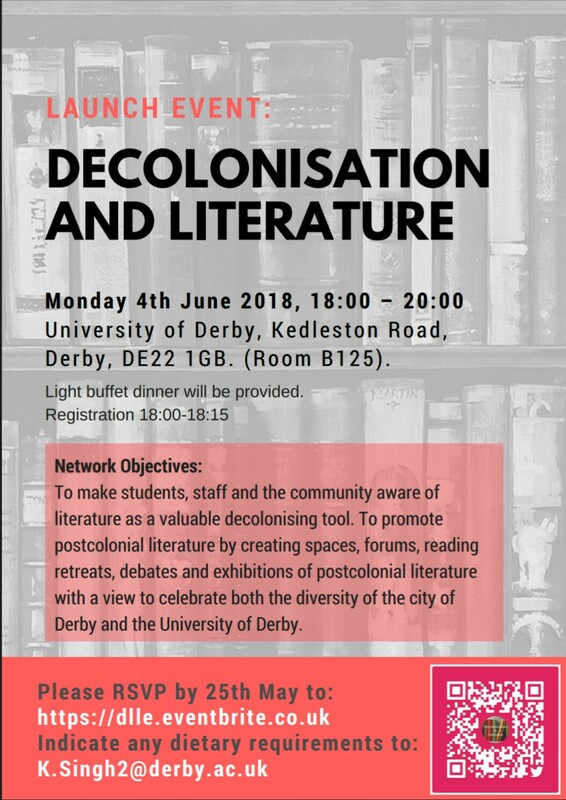 For the past few months I have been working alongside a group of PhD students at the University of Derby on a newly formed English Network focusing on Literature and decolonisation. The aim of the group is to use Literature as a decolonising tool and is the first of its kind in the UK. We are developing a group that represents, reflects and resonates with 21st century Derby. By creating and nurturing a meaningful relationship between English Literature, students (both undergraduate and postgraduate) and the wider community, we will be taking our literary skills, knowledge and expertise out into the public. 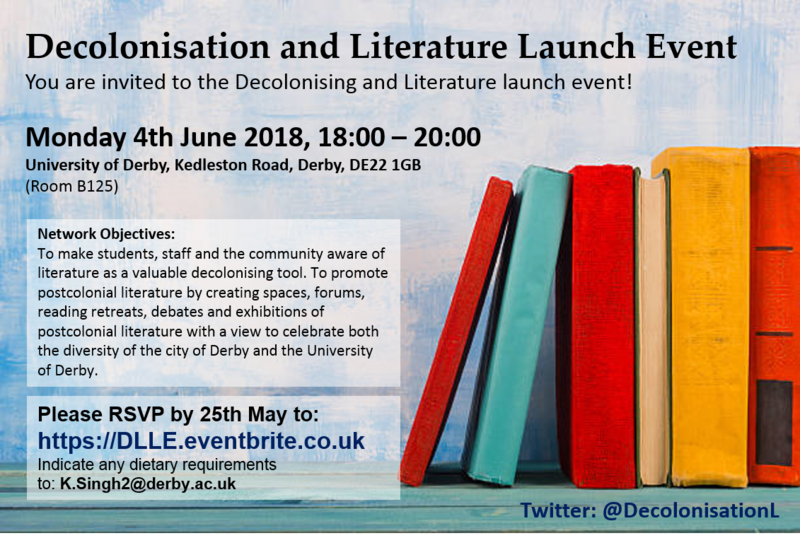 Organising and hosting events that bring the community and the University together is one our key objectives, especially events that promote world Literature and give communities an opportunity to experience Literature that may not be seen traditionally as part of the English literary canon. The launch event for our network is taking place on Monday 4th June 2018, 6:00pm – 8:00pm, at the University of Derby, where the Vice Chancellor will also be present. There will be a range of keynote speakers, an opportunity to network with academics and the committee and will end with a buffet. 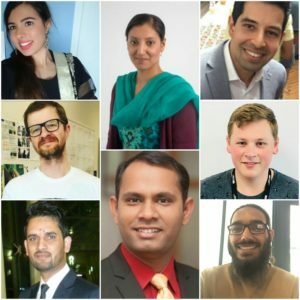 I will also be delivering a speech focusing on the importance of studying Eastern Literature, such as Panjabi Literature, and the different projects that I have been involved in such as the Literature in Society Conference, the International Sikh Conference and the Undergraduate Research Scholarship Scheme. Following the launch event, we will be organising, arranging and hosting a diverse range of events throughout the upcoming academic year such as public lectures, workshops and writing retreats. I am currently in the process of planning a Phulkari Panjabi Poetry night at the University of Derby which will be open to the public, enabling diasporas to showcase their talent to a wider audience. With such diversity present in society, the importance of community integration and realising the significance of Eastern Literature, we are really looking forward to taking the literary field here at Derby further. After all, as the Nobel Prize winner Gao Xingjian stated. ‘It’s in literature that true life can be found. It’s under the mask of fiction that you can tell the truth’.